So it’s a totally rainy Friday and it’s making me and everyone else at TWM completely miserable. But fear not, because the rain doesn’t change the fact that it’s FRIDAY and that means we all have a weekend to look forward to. Here’s what’s going on in music news, and maybe if you click all the links and spend some time reading you’ll be that much closer to the end of the day! 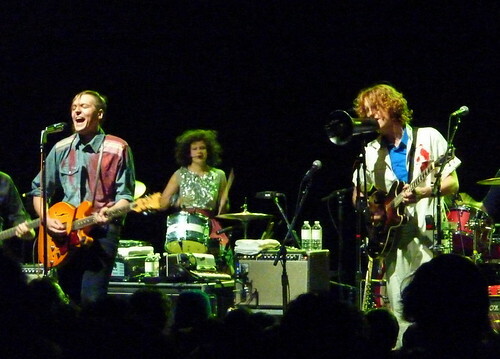 In even more Arcade Fire and The Suburbs related news, the group plans to stream the entirety of their upcoming Madison Square Garden concert online. The show itself is happening on Aug. 5th. G-Unit rapper Lloyd Banks has been cleared of charges after Banks and three others allegedly assaulted a Toronto based promoter over payment issues in January 2010. That Fucked Up single that we previously have mentioned is up to stream now, so make sure you go stream this epic monster of a song today! After taking four years off between albums, The Sea And Cake came out of their slumber and put out two solid albums within a year of each other. Now two years have passed since Car Alarm and those of you who are waiting for more Sea and Cake related news should be happy to hear that front man Sam Prekop has a solo album coming in September. Expect it to be a weird one though, because there are no vocals — or even drum beats — on it and only one “song” will feature a guitar. Huh. Japanese guitar manufacturer K’s Japan have created a $55 guitar specifically designed to smash on stage. It’s light weight and constructed to break apart just right when you summon your inner rock-god. They even recycle the smashed bits into new smash-able guitars if you mail them back to the company.